The CW has revealed a tease—including a nifty graphic—for its upcoming ARROWverse crossover. 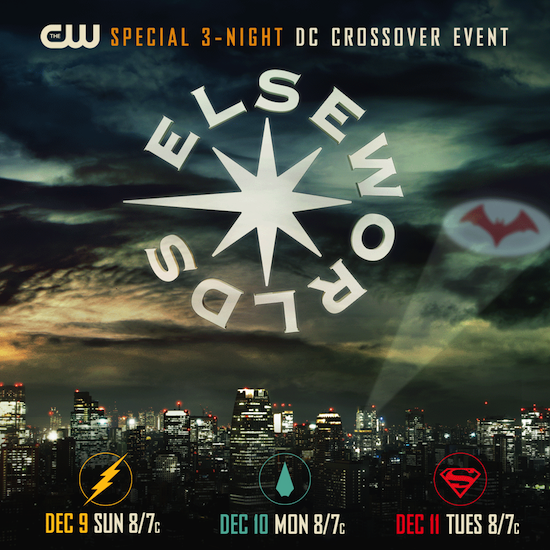 The three-show crossover (FLASH, ARROW, and SUPERGIRL; it will also introduce Ruby Rose’s Batwoman) will be a part of Elseworlds. In the comics, “Elseworlds” tells stories that take place outside of the normal DCU canon. Are you excited for the ARROWverse crossover?